Stark, Baratheon, Lannister and Targaryen: if you know what these names stand for, you will be excited to know that Montegrappa has created a new line of pens inspired by the four clans of ‘A Game of Thrones’ – the world-famous TV series by HBO. Each of these pens represents the four Houses fighting for the throne. Each of them embodies their colours and symbols, and bears the clan’s motto. In the Kingdom of the North, the Stark clan reigns in Winterfell, claiming a bloodline stretching back over eight thousand years. Guardians of the Wall, forged by the cold winds of the mountains, the Stark’s are devoted to the old Gods of the Forest. Their sigil is a grey direwolf on a white field. Their motto, “Winter is coming”, well summarises the mind-set of men and women whose temper was cast in ice. Wisdom, cautiousness and nobility are common traits of the Stark’s. You will find all of them in Montegrappa’s Stark model of Game of Throne: in its white and silver coat, the head of the direwolf conveys elegance and commands respect. The silvery pattern on the cap, resembling a snowfall, encompasses the clan’s motto. Ethereal yet powerful, this pen is a collector’s must for its beauty and uniqueness. House of Baratheon is one of the extinct Great House of Westeros, originated in the Regio of the Stormlands. Storm’s End is their ancestral stronghold, reunited under King Robert’s ruling. Their sigil is a black stag on a gold background. “Ours is the fury” is their motto. After King Robert’s assassination in the War of the Five Kings, the House began its fall, leading towards extinction. Proudness, soberness, loyalty and bravery are the distinct traits of the Baretheon clan. All of them are embodied in Montegrappa’s Game of Thrones Baratheon: the barrel in a sombre charcoal enhances the golden stag’s head mounted on the pen’s clip. The rampart stag is reproduced on top of the cap, and a refined decoration runs down to the tip in a fleur-de-lis pattern. The clan’s motto completes the royalty of the pen’s line. 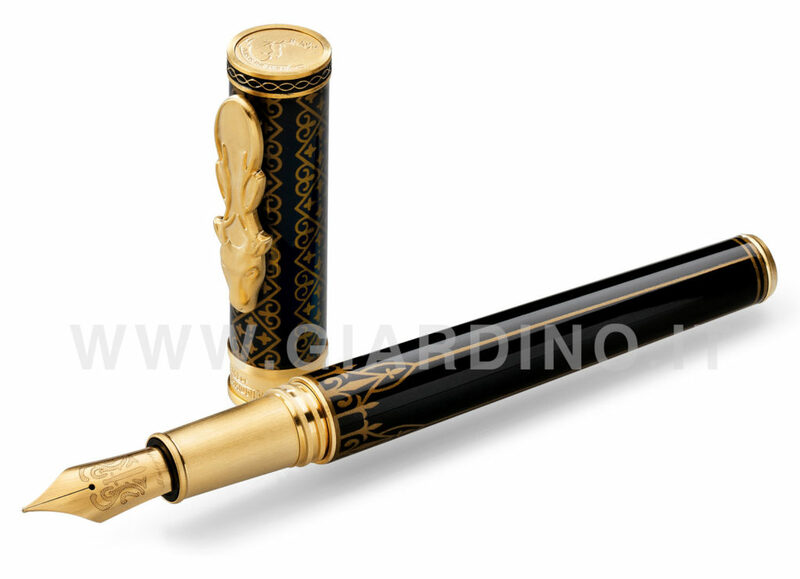 Both the power and the elegance of the stag are embodied in this stunning pen by Montegrappa. “Never forget what you are, the rest of the world will not. South in the Westerlands, a massive promontory overlooking the Sunset Sea is home to Casterly Rock, surrounded by millennial fortifications. This is a kingdom of incredible wealth, where appearances and lies hide untellable secrets. The Lannister’s linger in envy, cruelty, passion and betrayal. 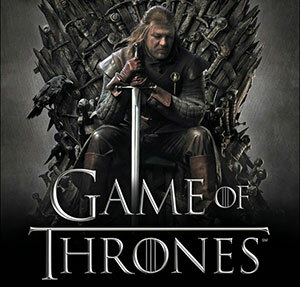 Founded on the incestuous relationship between Cercei and Jaime, the story of the Lannister clan is a deceptive series of conspiracies that lead to victory at the price of many personal tragedies. If you can’t but long for red skies and blood, let your dark side be lured by Montegrappa’s Lannister Game of Thrones. 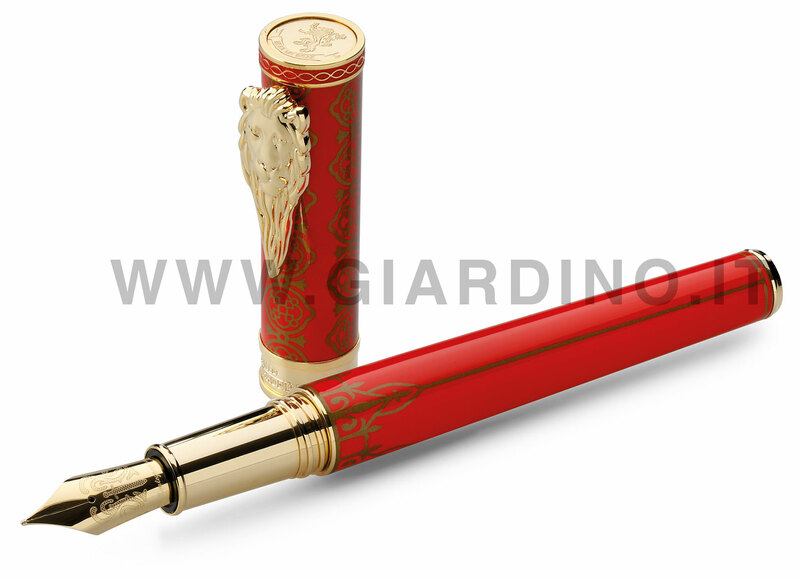 Coated in a deep red colour, this pen is decorated with a golden floral pattern to remind us of the richness of the clan that holds the Iron Throne. A golden lion head is mounted on the clip, and the Lannister’s motto is on the cap. Once a noble family of the Valyrian Freehold, the Targaryens ruled over the island of Dragonstone in the Narrow Sea. Now exiled from their lands and their dragons extinct, the clan will rise again from its ashes when Daenerys becomes the Dothraki’s khaeesi by marriage to warrior Drogo. Their destiny will be changed by the retrieval of three dragon eggs: Daenerys screams vengeance and seeks justice for her clan to reconquer her lost kingdom. Games of Thrones-Targaryen by Montegrappa embodies the mysterious power of the dragons, their fire, rage, and thirst of justice: in black and metallic red, its clip is shaped in a dragon’s head. The clan’s motto – “Fire and Blood” – is caught in the spirals of a filigree pattern. Whatever clan you rejoice, Montegrappa’s tribute to this legendary series is a unique opportunity to possess a real collectible. Each House series is available as a roller pen, fountain pen and ballpoint pen. Steel nib, plated with gold, palladium or bronze, depending on the pens’ finishing; engraved with a rune and sword design. Check out prices and availability at Giardino Italiano’s website! A Limited Edition of Game of Thrones will be launched approx on June/July 2017. 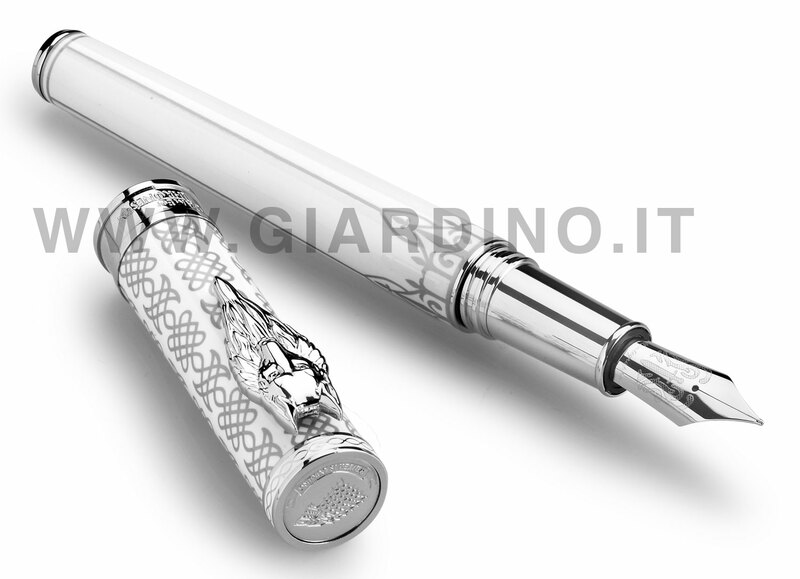 It will be made with die cast sterling silver, heavy and massive, fully decorated in the typical style Montegrappa applied to past models (Chaos, Pirates); and will cost between 3 and 4 thousands euro. Very much looking forward to hearing more about these pens. New Visconti steel nibs. Not compatible with the older ones. Milan 2016 from 1€ a night as a guest at Giardino Blu’s! Giardino Italiano – Blog © 2019 All Rights Reserved.